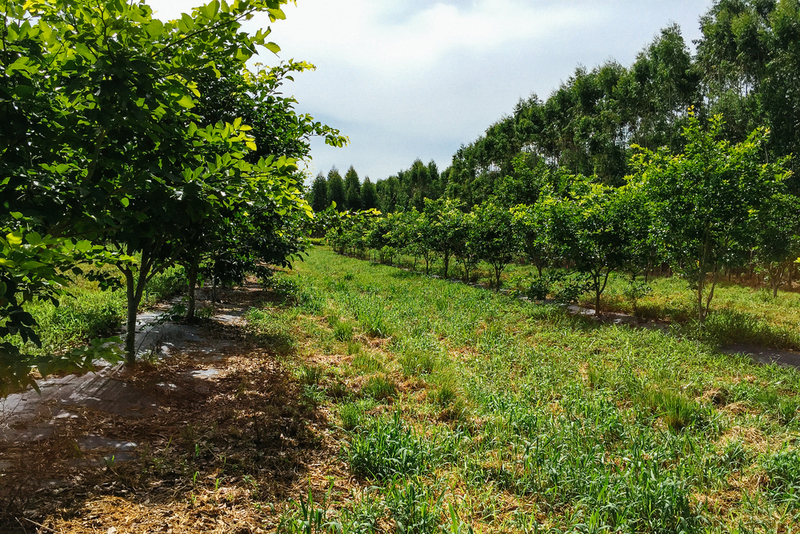 With offices in Hawai'i, California, and Florida, TerViva™ grows a hardy orchard crop called pongamia. We restore productivity to idle agricultural land while generating clean energy, supporting local food production, and restoring environmental health. Pongamia is a non-GMO tree crop that can be grown with little or no irrigation, and produces oilseeds that are processed into oil for biofuel, plant protein for animal feed or biogas, and biomass for baseload electricity generation. Arable land base continues to shrink every year at an alarming rate while demand for food & fuel soars. The US has lost 40 million acres of arable land in the past 40 years. Citrus acreage is disappearing at an alarming rate due to disease. Over 500,000 acres lost (50% loss in 10 years). Sugarcane abandoned due to cost of production and competition. 200,000 acres lost (100% loss in 20+ years). At TerViva™, we develop high-yielding cultivars of pongamia and plant them with interested growers and land owners. Pongamia easily “drops in” to their existing operations, utilizing the same field setups and infrastructure. TerViva™ then processes the seed pod harvest into vegetable oil and protein seed cake, which is sold to third parties for usage in fuels, chemicals and animal feed. 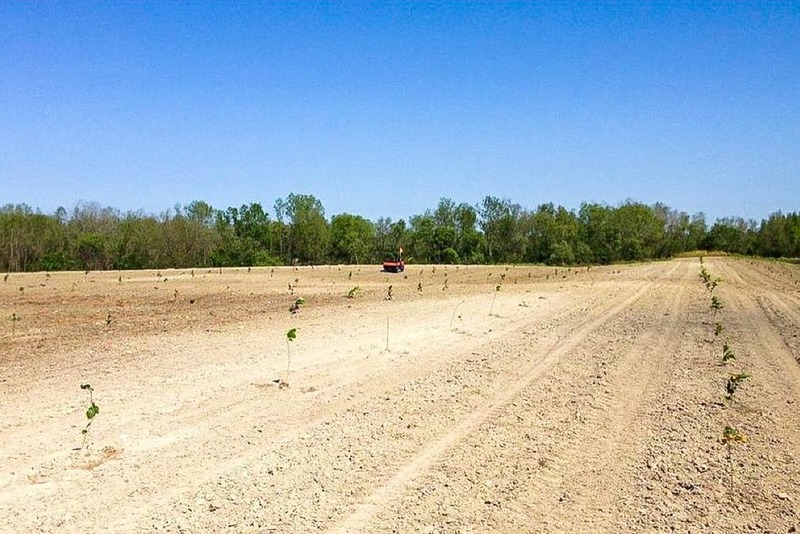 TerViva™ is currently establishing pilot projects and commercial size acreage in Hawaii and Florida -- geographies where the need for a new crop and the proper climate for pongamia intersect. Please check our News page for the latest information on announced projects. TerViva™ is a portoflio company of several high profile investors, including The Yield Lab, an ag-tech business accelerator based in St. Louis and the Elemental Excelerator, a business incubator working with mission driven start ups focusing on improving infrastructure, building community and sustainability. The Elemental Excelerator is supported by the Department of Energy, Department of the Navy, PICHTR (Pacific International Center for High Technology Research), and the Emerson Collective. Pongamia orchard in Florida at initial plannting. Pongamia orchard in Florida at 4 months with no irrigation. Pongamia orchard in Florida at 7 months with no irrigation. Pongamia orchard in Florida at 22 months with no irrigation. 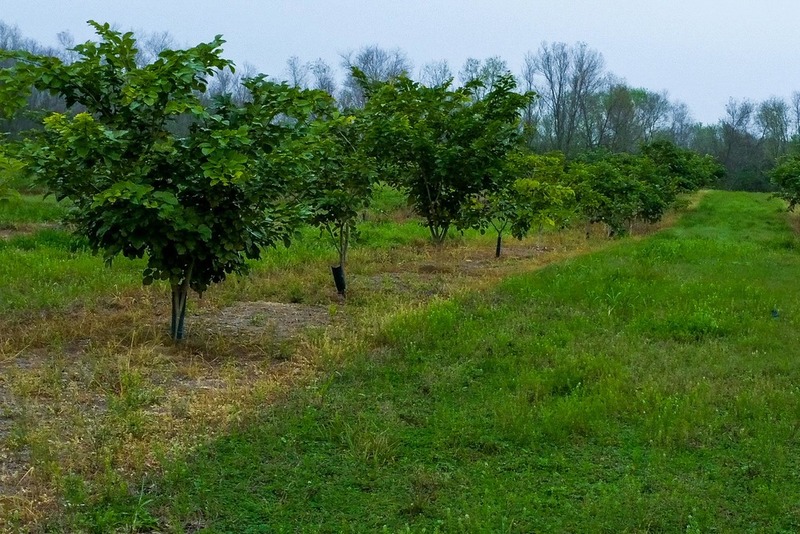 Pongamia orchard in Florida at 26 months with no irrigation or fertilizers. Native to India and Australia, pongamia is a long-living tree that produces an annual harvest of seeds that are similar to soybeans. On a per-acre basis, pongamia produces ten times the amount of oil than a soybean with a fraction of the inputs (water, fertilizer, pesticides, etc.) and is thus cheaper to maintain while being much more sustainable and environmentally friendly. TerViva™ has compiled an exclusive library of high-yielding, patentable pongamia genetics from around the world and has developed propagation techniques for scalable, consistent results. The core of the IP platform is the elite pongamia genetics, which are iteratively advanced through a number of exclusive partnerships. TerViva™ is also working on a molecular marker program to identify traits for breeding, such as oil yield and salt tolerance. Questions about Pongamia? Check out our FAQ or send us a question on our Contact page. We use pongamia to “grow oil”, combining agriculture with chemistry to produce clean fuels and green chemicals -- while at the same time restoring underproductive land and creating jobs in rural communities. Pongamia oil contains long-chain fatty acids that are well-suited for conversion into biodiesel, renewable diesel, high-performance surfactants, and lubricants. Once removed of oil, the residual pongamia seed cake is high in both nitrogen and protein, and has proven value as a fertilizer and animal feed supplement. The heart of any crop development program is germplasm selection. Together with our partners, we have evaluated pongamia varieties in their native environments for over a decade, carefully cataloguing various important agronomic traits such as growth, shape, disease and pest resistance, flowering, seed yield, and seed oil content. The best pongamia varieties were then subjected to clonal propagation, in order to deploy "true to type" varieties in fields. Through a 2011 National Science Foundation grant, we also began to develop molecular markers for pongamia breeding in collaboration with UC Davis and Texas A&M University.